Gadget insurance - laptops, smartphones, tablets etc. Get your new term at University off to a great start by making sure your precious tech is fully insured. 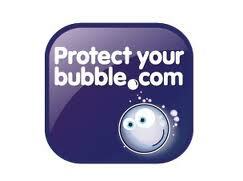 Our partners at 'Protect my bubble' are regarded as the market leaders in both quality and price when it comes to choosing an insurer and consistently score top marks in consumer testing.